Insolvency proceedings, including bankruptcy proceedings, reorganisation proceedings with self-administration and reorganisation proceedings without self-administration, are governed by the Austrian Insolvency Code (the Insolvency Code). In addition to the Insolvency Code, the Business Reorganisation Law of 1997 (the Business Reorganisation Law) governs a specific form of ‘reorganisation’ supporting the restructuring of a solvent debtor’s business. ‘Reorganisations’ under the Business Reorganisation Law are not insolvency proceedings and do not affect creditors’ rights. In general, both individuals and legal entities can be subject to insolvency proceedings. This includes general partnerships, limited partnerships, professional partnerships, professional limited partnerships and European economic interest groupings as well as a deceased person’s estate. The Supreme Court has ruled that even municipalities may be subject to insolvency proceedings. Owing to a lack of legal standing, civil partnerships, silent partnerships and cartels cannot enter into insolvency proceedings. Only their partners may be subject to insolvency proceedings. Reorganisation proceedings with or without self-administration and reorganisations under the Business Reorganisation Law do not apply to credit institutions, insurance companies and pension funds. For such entities, special provisions set out in the Banking Act, the Insurance Company Supervision Act and the Pension Fund Act apply. The Business Reorganisation Law also does not apply to investment service companies, financial institutions and leasing companies. The following assets are excluded from insolvency proceedings and are exempt from claims of creditors: inheritances, legacies and gifts to the extent not accepted by the insolvency administrator; any assets that the insolvency court decides to release from the estate; claims arising in the context of legal proceedings asserted by the debtor and assets in the possession of the debtor the restitution of which is subject to legal proceedings to the extent the insolvency administrator does not enter into such proceedings; all rights that are incapable of being transferred to a person other than the debtor; and, when the debtor is a natural person, a certain amount of monetary funds that is granted to the debtor for his or her living expenses. Investments of the Republic of Austria in partially or entirely nationalised companies are in most cases administered via the Austrian State and Industrial Holding Company (ÖBIB), an Austrian limited liability company that holds the shares in these companies. The ÖBIB is the successor of the former Austrian State Industrial Holding Stock Corporation (ÖIAG). This had been turned into ÖBIB in early 2015 by way of a form-changing transformation pursuant to the Austrian Stock Corporation Act. Other shareholdings in government-owned enterprises (eg, the Federal Railways Company) are directly held by the Republic of Austria and administered by the government. Because all these nationalised companies and government-owned enterprises are set up under Austrian private law (most often in the form of a limited liability company or a stock corporation), there are no specific procedures as to the insolvency of these enterprises. Consequently, the creditors’ remedies are also the same as in ordinary insolvency proceedings. Statutory bodies under public law (eg, municipalities, cities with their own charter, federal states and the Republic of Austria itself) may also become insolvent. This is generally accepted and derived from their general legal capacity. Therefore, in principle, in the case of an insolvency of a statutory body with general legal capacity, the Austrian Insolvency Code will apply. On 1 January 2015, the Austrian Federal Act on the Recovery and Resolution of Banks (BaSAG) which implemented Directive 2014/59/EU on the recovery and resolution of credit institutions and investment firms (BRRD) entered into force. The BaSAG only applies to credit institutions, financial institutions that are subject to supervisory consolidation, and financial holding companies that are part of an Austrian credit institution group. Its main principles are the winding down of assets or the recovery of a bank without severe impact on its value, the protection of taxpayers and the equal treatment of creditors of a credit institution that is subject to bail-in measures (‘no creditor worse off than in insolvency’). The BaSAG provides for all early intervention measures and resolution tools as the BRRD, such as the production of recovery and resolution plans by institutions, additional supervisory powers for the Austrian financial market authority (FMA) as national resolution authority to intervene at an early stage and the entrusting of the FMA with necessary resolution powers and tools such as the sale of business or shares, the setting up of a bridge institution, the separation of assets and the bail-in of shareholders and creditors of a failing institution. Like the BRRD, the BaSAG aims at providing an alternative for credit institutions to standard insolvency proceedings. However, a credit institution can at the same time be subject to both resolution measures under the BaSAG and insolvency proceedings under the Austrian Insolvency Code. Importantly, the BaSAG modifies the usual ranking of creditors in the course of insolvency proceedings because certain claims (ie, of ensured deposit holders) are satisfied with priority. Payments of subordinated claims will only be made if the first ranking creditors have been fully satisfied. Insolvency proceedings are generally conducted by the competent provincial court (in Vienna, the Commercial Court) in the area where the debtor’s business is located at the time of filing for insolvency. Failing this, for example when the debtor is a private person, proceedings are conducted by the court of the place where the debtor has its permanent residence, its branch office or any assets. In the case of a natural person applying for insolvency proceedings, the competent district court is involved. Austrian law distinguishes between three types of court orders: those that can be appealed with an autonomous recourse, those that can only be appealed together with another appealable decision and those that cannot be appealed at all. The remedy against court orders is always a ‘recourse’. The general rules according to the Civil Procedures Act apply. content (declaration of appeal, reason for appeal and claim). In insolvency matters, the appellant is allowed to bring new facts or evidence during recourse proceedings, provided that they already existed at the time when the appealed decision was made. Recourses do not have a delaying effect on the enforceability of the court order. However, the court cannot alter the appealed decision to the detriment of the appellant. This means that, as a worst-case scenario for the appellant, the recourse gets rejected. If the requirements of a recourse are met, the appellant is entitled to bring an appeal. As a prerequisite to the decision of the appellate court, the trial court where the appeal was submitted decides on the admission of the appeal. After admission, the appeal is submitted to the appellate court, which also has the right to reject the recourse. when the plaintiff has sufficient real estate (secured) assets. Under Austrian law, the term ‘voluntary liquidation’ of a company is used to refer to a company being dissolved by its shareholders voluntarily according to its corporate charter, outside the scope of insolvency proceedings. In such a case, all creditors’ debts must be fully satisfied before the liquidation can be completed. The following does not deal with ‘voluntary liquidation’ in the strict Austrian sense of the word but with the true situation when the directors of a company (as opposed to its creditors) can, and are under certain circumstances required to, file for insolvency proceedings. A debtor is required to initiate a voluntary liquidation if the insolvency test is met (see question 15). Following the application for opening insolvency proceedings, the court examines the application and decides whether the debtor meets the insolvency test. If this is the case, the court will open insolvency proceedings immediately. Once the court has formally opened insolvency proceedings (with the exception of reorganisation proceedings with self-administration), the right to make any dispositions with respect to the insolvency estate and the administration thereof passes from the debtor to the insolvency administrator appointed by the court. In such case, only the insolvency administrator is entitled to act on behalf of the insolvent’s estate. Transactions concluded by the debtor after the opening of insolvency proceedings are void with respect to the creditors. If the court makes an order for reorganisation proceedings with self-administration, the debtor retains the right to make dispositions with respect to the insolvency estate. However, it will be supervised by a court-appointed reorganisation administrator. If the conditions for the opening of insolvency proceedings are met (see question 15) or there is a real threat of the debtor’s inability to pay debts as they fall due (‘pending illiquidity’), the debtor may apply to court for the opening of reorganisation proceedings. A reorganisation proceeding can only bind unsecured creditors (and secured creditors to the extent that their claim is under-secured). The debtor may also apply for the opening of reorganisation proceedings after insolvency proceedings have been opened as long as such proceedings have not been concluded. An application for the opening of reorganisation proceedings must include a reorganisation plan offering payment of at least 20 per cent of the claims to unsecured creditors within two years of the approval of the reorganisation plan. The court will appoint a reorganisation administrator who is in charge of the company until the reorganisation plan is approved. The approval of the reorganisation plan requires a majority of (unsecured) creditors holding more than 50 per cent of the aggregate claims of those (unsecured) creditors present at the relevant court hearing. Alternatively, the debtor can apply for reorganisation proceedings with self-administration. In such a case, the reorganisation plan has to provide an offer for the payment of at least 30 per cent of the (unsecured) creditor’s claims within two years after approval. An inventory of assets, a current status report as well as a liquidity plan for the following 90 days has to be provided at the time of application. The advantage of reorganisation proceedings with self-administration is that the debtor does not lose control over the assets to an insolvency administrator, allowing the debtor to retain control over its business and the proceedings. Only for legal acts that are not considered to be in the ordinary course of business is the reorganisation administrator’s approval required. Note that only an insolvency administrator can take voidance actions, hence these are not available in a reorganisation. If the reorganisation plan is not approved within 90 days from the beginning of the proceedings, the self-administration will be revoked and an insolvency administrator will be appointed. During the continuation of the proceedings under the supervision of the insolvency administrator, the reorganisation plan itself can still be approved by the creditors. The approval of the reorganisation plan results in the conclusion of the insolvency proceedings and the termination of the insolvency administrator’s appointment. Furthermore, the debtor is relieved of the obligations towards its creditors exceeding the quota offered in the reorganisation plan. Creditors can only set off their claims in accordance with the quota of the reorganisation plan. Whereas, before the approval of the plan, it is possible to set off the entire claim (provided general requirements are met (see question 36)). A debtor who is neither insolvent nor over-indebted may also apply to the court for the opening of reorganisation proceedings under the Business Reorganisation Law. If certain financial ratios are not met, an application for reorganisation is mandatory. The application should include a reorganisation plan, which may be supplied up to 60 days after the filing of the application. The court will appoint a reorganisation auditor to examine and assess the reorganisation plan. As already mentioned, the opening of reorganisation proceedings under the Business Reorganisation Law will not change the situation of creditors as this reorganisation is not an insolvency proceeding. Secured creditors are creditors holding a secured right over the debtor’s assets (lien, mortgage, etc). Preferential claims include the costs of the reorganisation proceedings, various disbursements of operating costs and expenses (eg, claims of employees for normal salary accruing after the opening of the reorganisation procedure) and remuneration for certain creditors’ associations as defined by law. Mandatory features of a reorganisation plan include full satisfaction of all secured and preferential claims, as well as the debtor’s offer to pay to all unsecured creditors at least 20 per cent of the outstanding claims within two years after the approval of the reorganisation plan. In the case of reorganisation proceedings with self-administration, the debtor has to offer the payment of a quota of at least 30 per cent (as well as satisfaction in full of all secured and preferential claims). The reorganisation plan must be approved by unsecured and non-preferential creditors representing more than 50 per cent in value of the total outstanding unsecured, non-preferential debts, as well as the (simple) majority of the creditors (by headcount) that are present at the reorganisation hearing. Generally, the reorganisation plan must treat all unsecured and non-preferential creditors equally. Deviations from this principle are possible if the reorganisation plan is approved by the majority of the unsecured creditors present at the reorganisation hearing (by headcount) and creditors representing at least 75 per cent of the outstanding unsecured non-preferential debt. The Insolvency Code does not foresee the possibility that a reorganisation plan includes releases in favour of third parties. The reorganisation auditor has to agree on the restructuring plan and the court has to approve this. The creditors have no right of objection. Each (individual) creditor may also apply for the opening of insolvency proceedings with respect to a debtor. The creditor will need to establish that the debtor is insolvent (ie, either illiquid or over-indebted without a going concern prognosis, although, realistically, a creditor will usually only be able to demonstrate the former) and that he or she has a valid claim against the debtor, even if this claim is not yet due for payment. If the court is satisfied that the insolvency test is met, the court will open insolvency proceedings without undue delay after the creditor’s application. The effects of the commencement of the insolvency proceedings - where there are sufficient funds available to bear the costs of the insolvency proceedings - are the same as described in question 6. Only the debtor may file an application for the commencement of reorganisation proceedings. Creditors may only apply for the initiation of insolvency proceedings with respect to a debtor (see question 9). Reorganisations may be ‘pre-packaged’ or structured within certain limits. This may be the case if the offered settlement does not meet the minimum targets (notably, the satisfaction quota) imposed by law (see question 8) and therefore one or several large creditors need to subordinate their claims for the reorganisation to be approved by the court. If the reorganisation plan does not secure the necessary majority and quorum of the creditors’ vote during the reorganisation hearing, it fails. Furthermore, the court can, and in some circumstances has a duty to, reject a reorganisation plan even though it has been approved by the creditors (eg, if material regulations have not been complied with, or if the reorganisation plan favours certain creditors). If the reorganisation plan is not approved, the reorganisation proceedings are continued as insolvency proceedings. The approved reorganisation plan may be actively monitored by a reorganisation administrator if agreed upon in the reorganisation plan. During such supervision, the court may issue protective measures with regard to the debtor’s assets and may veto certain legal transactions. If a debtor defaults on its payment to a particular creditor, the creditor has to notify the debtor of this and grant it a two-week grace period. If the debtor is still unable to fulfil its obligations after such period, the creditor’s original claim is re-established in its totality (ie, not only in the reorganisation quota). Despite a default with respect to a particular creditor, the reorganisation plan and the quota remains in effect with respect to those creditors on whom the debtor has not defaulted. If a reorganisation plan under the Business Reorganisation Law is not approved by the court, reorganisation proceedings must be closed. General company law provides for standard procedures for dissolving a corporation (called ‘voluntary liquidation’ under Austrian law; see question 6). Such procedures are quite different from insolvency proceedings and do not require any involvement of the court, apart from removing the business from the commercial register. In a voluntary liquidation, all creditors must be fully satisfied. A corporation is already dissolved by operation of mandatory Austrian law upon the opening of insolvency proceedings. In place of the corporation, its assets form the insolvent’s estate, which is sold off and the proceeds are eventually distributed to the creditors. Insolvency cases are concluded by a formal order of the insolvency or reorganisation court after all conditions for the closing of the procedure have been fulfilled. An Austrian debtor is deemed to be insolvent when it is either illiquid or (in the case of corporate entities) over-indebted. According to case law, a debtor is illiquid when it lacks the means to pay all of its liabilities that are currently due. Liabilities due in the future (even if they are already known) are not taken into consideration for this test. The inability to satisfy liabilities when due constitutes illiquidity only if it is permanent rather than merely temporary (as a result of any cash-flow restrictions). According to case law, a debtor is over-indebted if: the assets (based on their liquidation value) would not be sufficient to satisfy all of its creditors, and a business forecast shows that the debtor is likely to become illiquid (ie, unable to pay its debts) in the future and, as a result thereof, will be liquidated. The first limb of the test is objective and will be satisfied if a debtor’s liabilities exceed the value of its realisable assets. It assumes an orderly voluntary liquidation of assets on the valuation date rather than valuing the company as a going concern. The second limb of the test requires an analysis of the probability that the company will become illiquid within a reasonably predictable period (usually at least the current and the following fiscal year). Managing directors of a company must file for insolvency without undue delay, but in any case within the first 60 days of the company becoming illiquid or over-indebted within the definition of the Insolvency Code (see question 15). During the 60-day period, the managing directors may make reasonable efforts to restructure the company or may prepare an application for reorganisation proceedings. The managing directors will be personally liable for the damage inflicted on the company’s creditors by their failure to make a timely application for the opening of insolvency proceedings. As regards existing creditors, the managing directors will be liable for a reduction in the insolvency quota. As regards new creditors, the managing directors will be liable for the damage suffered by such new creditors having placed confidence in the company being solvent. In addition, managing directors will be liable to the company for any payments made to any counterparties while the company was insolvent. It is generally accepted that this does not apply where insolvency proceedings are diligently prepared and where the payment is necessary to protect the position of the company’s general creditors. Other than civil liability, criminal liability may also arise out of crimes such as fraud, disloyalty or specific actions such as the fraudulent preference of a creditor or the fraudulent infringement of the insolvency law. The managing directors of a company are liable to the company for any failure to perform their function in a diligent manner. Any resulting claims the company has against the directors are subject to a five-year limitation. The company may not waive or agree to settle these claims to the extent that payment by the managing directors is required to satisfy the company’s creditors. Directors may also be liable directly to creditors if they failed to file for insolvency (see question 17). Also, the Tax Procedure Act and social security legislation impose personal liability on managing directors to the extent that they have failed to diligently manage funds available to the company, where such funds should have been paid on account of taxes or similar circumstances. Under Austrian social security legislation, a managing director may even be subject to criminal liability for having failed to make pro rata social security contributions on any salary payments that were subject to such contributions. Under the Business Reorganisation Act, managing directors are personally liable for the company’s debt up to €100,000 per individual, if they failed to instigate the opening of business reorganisation proceedings upon having received a report by the company’s auditor stating that the company was in need of reorganisation. This is the case if the company’s equity ratio is less than 8 per cent, and the implied debt settlement period exceeds 15 years, unless an opinion is issued by a certified auditor confirming that there is no need for reorganisation. The liability arises if, within two years of the managing directors receiving the auditor’s report, insolvency is applied for. In certain circumstances, members of the supervisory board or shareholders of a limited liability company may also become liable under the Business Reorganisation Act. In specific circumstances, the managing directors could also be liable under the Austrian Criminal Act for offences such as fraudulent conveyance or intentional preference of a creditor in the state of insolvency. While other employees may also become liable to the company, that liability is limited under the Employee Liability Act. If an insolvency or reorganisation proceeding is likely, the managing directors may proceed to carry out the company’s ordinary course of business in an effort to avert insolvency. These actions may not only include daily business but also transactions necessary to maintain the insolvency estate. Directors must perform these duties with the due diligence of a prudent businessman. If the company does become illiquid or over-indebted, the managing directors must file for insolvency without undue delay, but in any case within the first 60 days. During the 60-day period, the managing directors may make reasonable efforts to restructure the company or may prepare an application for reorganisation proceedings. Only during reorganisation proceedings with self-administration may a debtor (its managing directors respectively) carry on business itself. In reorganisation proceedings with self-administration, the debtor is not required to surrender control of its entire assets to an insolvency administrator. Nevertheless, a court-appointed reorganisation administrator has a right of veto over any ordinary transactions of the debtor and must expressly agree to all transactions of the debtor beyond the ordinary course of business. The reorganisation administrator must also expressly agree to certain specific decisions set out in the Insolvency Code. The sale of assets is also subject to the reorganisation administrator’s approval, to the extent that such a sale does not fall within the scope of the debtor’s ordinary course of business. A sale of assets may also be subject to the approval of the creditors’ committee and the insolvency court. Any actions undertaken by directors or officers during a liquidation or reorganisation proceeding without self-administration are unenforceable. After the opening of such reorganisation proceedings, legal disputes with regard to the insolvent’s assets may no longer be filed against the debtor and pending lawsuits concerning the debtor’s assets will be suspended. Any court order rendered after the opening of insolvency proceedings will be void. Generally, all claims against the debtor must be filed with the insolvency court and examined by the insolvency administrator before litigation proceedings may be continued. Where a creditor had his or her claim rejected in the examination hearing, he or she may initiate proceedings against the debtor. If the court has ordered a stay of the proceedings, the insolvency administrator is entitled to continue the proceedings. In business reorganisation proceedings under the Business Reorganisation Law, pending court proceedings are not affected. Only during reorganisation proceedings with self-administration may a debtor carry on business itself (see question 20). With regard to mutual contracts not yet fulfilled by either party, the debtor may choose either to rescind such contracts or to have them fulfilled by both sides (subject to approval by the reorganisation administrator). To facilitate the continuation of the debtor’s business, termination rights in contracts with the debtor may be limited. If termination of a contract with the debtor could put the continuation of the debtor’s business at risk, the counterparty may, for a period of six months after the opening of the insolvency proceedings, terminate a contract concluded only for ‘good cause’. ‘Ordinary termination’ without good cause is prohibited (for instance, at mutually agreed periods or dates). Furthermore, the deterioration of the debtor’s economic situation and a payment default in relation to obligations due prior to the initiation of the insolvency proceedings do not constitute ‘good cause’ for termination. However, the restrictions do not apply if the termination of a contract is essential to avoid severe personal or economic disadvantages for the counterparty. In case of unjustified exercise of the termination right during the six-month period, the termination will automatically become effective after expiry of the period unless otherwise agreed. Further, termination rights based solely on the initiation of insolvency proceedings are invalid. Only certain financial and derivative contracts, which are usually entered into under master agreements that provide for the mutual set-off of claims (‘close-out netting’), are exempt from this rule. The creditors must file their claims against the debtor in court. The court may appoint a creditors’ committee to supervise the acts of the insolvency or reorganisation administrator. Apart from that, the creditors meet only once, at the reorganisation hearing where the creditors vote on the reorganisation plan. The main duties of the court are to hold the opening hearing and the reorganisation hearing as well as issuing the necessary decisions. In reorganisation proceedings under the Business Reorganisation Law, the conditions for the debtor to carry on business are as described in question 7. In essence, the court opens business reorganisation proceedings, appoints and supervises the reorganisation auditor and closes reorganisation proceedings. The creditors do not have any special rights to supervise the debtor’s business activities. Indeed, they are not affected by the reorganisation. However, certain bridge loans (and similar measures) granted in the reorganisation are, under certain circumstances, protected from avoidance if the reorganisation is not successful and insolvency proceedings are opened. Once insolvency proceedings have been formally opened by the court, the administration of the insolvent’s assets is exclusively conferred upon an insolvency administrator. The insolvency administrator is, in principle, entitled to conclude credit agreements on behalf of the estate. In reorganisation proceedings with self-administration, the debtor is not fully deprived of its ability to enter into transactions with respect to its assets (see question 11). The debtor is, however, prohibited from concluding certain transactions, such as selling real estate or granting sureties. Entering into loans (whether secured or unsecured) is not specifically prohibited. Nevertheless, the debtor must obtain the approval of the reorganisation administrator for any transaction beyond the ordinary course of business. Borrowings might therefore need such approval, depending on the ordinary course of the specific business. In reorganisation proceedings under the Business Reorganisation Law, no specific limitations on post-filing credit apply. In insolvency proceedings, the sale (or lease) of specific immovable assets is subject to the prior approval of the court and the creditors’ committee, and must be publicly announced at least 14 days (in urgent cases, eight days) in advance. The same applies to the sale (or lease) of the debtor’s entire business (or the debtor’s controlling share in a business), the debtor’s entire movable assets (whether fixed assets or current assets) and assets that are necessary for the debtor’s operations. The insolvency administrator must hear the debtor with respect to these transactions before he or she decides to take any action. Generally, assets are sold by the insolvency administrator in a private, out of court sale. A court sale will occur only if determined by the court at the insolvency administrator’s application. Thus, it would be permissible for the insolvency administrator to negotiate an interim sale agreement with one party while continuing to seek better bids. Provisions of Austrian law related to the transfer of liabilities upon the purchase of a business do not apply if the seller of such a business is insolvent. These provisions relate to general liabilities of the seller as well as social security, other pension liabilities and liabilities relating to public charges and taxes. Lease contracts that are filed with the commercial register pass over automatically, but employment contracts do not. Specific assets may be affected by certain encumbrances and will possibly not be transferred clear of such encumbrances. Such encumbrances may, however, lapse upon bona fide acquisition of ownership of the relevant assets. In reorganisations (both with and without self-administration), all transactions (including asset sales) outside the debtor’s ordinary business are subject to the reorganisation administrator’s prior consent. This is also the case for any sale of real estate, the granting of a lien over any asset, the granting of sureties and transactions without due consideration. All other transactions may be vetoed by the reorganisation administrator. As Austrian insolvency law states that in the case of an assignment the legal standing of the debtor may be neither improved nor deteriorated, the same must apply to an assignee of the original secured creditor. However, if the assignee has acquired the claim after the opening of insolvency proceedings, he or she will be deprived of voting rights unless he or she was obliged to acquire the claim because of an agreement set up before the opening of the insolvency proceedings (this rule applies to insolvency and reorganisation proceedings alike). Concerning the transfer of liabilities with certain assets, the same rules apply as in insolvency proceedings, except that employment contracts are transferred to the purchaser of an entire business. Austrian law prohibits credit bidding in a sale of the insolvent’s assets - a creditor only has a claim for receipt of the insolvency quota in insolvency proceedings (principle of equality between creditors). A court would therefore have no discretion to assess a credit bid. Similarly, the credit bid of an assignee of the original secured creditor would not be permitted either. In reorganisation proceedings, it is permissible for the insolvency administrator to negotiate an interim sale agreement with one party while continuing to seek better bids. Credit bidding in a sale of the insolvent’s assets is also permissible as part of the reorganisation plan, provided that the special majority and quorum requirements are met. As credit bidding would result in the unequal treatment of creditors (the credit bidder is privileged), in addition to the general majority and quorum requirements set out in question 8, such reorganisation plan would have to be approved by the majority of the disadvantaged insolvency creditors who are entitled to vote and are physically present at the voting hearing, with the total claims of the consenting creditors amounting to at least 75 per cent of the claims of the disadvantaged insolvency creditors present at the voting hearing. Apart from that, no further specific assessment concerning the credit bid would be necessary. The insolvency administrator has the right to terminate any contract that has not been fulfilled at the time of opening of the insolvency proceedings (see question 19). In a reorganisation, the debtor can terminate employment or lease contracts but only with the consent of the reorganisation administrator. Further, employment contracts may only be terminated in relation to employees that work in such parts of the business that will either be closed or reduced in size or, if the continuation of the business was not published in the insolvency register, after four months of the reorganisation proceedings opening. The reorganisation administrator may only give his or her consent to a termination if the fulfilment of the relevant contract jeopardises the conclusion or fulfilment of the reorganisation plan or the continuation of the debtor’s business. The employee or tenant can claim damages arising from the termination of the respective contract. Such claims are subject to the reorganisation and will be settled only with the quota set out in the reorganisation plan. When the insolvency administrator decides to adopt a contract, he or she must comply with the obligations thereunder. Obligations arising under such contract (and with respect to breaches thereof) after the opening of insolvency proceedings lead to a preferential claim of the third party against the debtor or the debtor’s estate. The licensor or the owner of the IP right has, by operation of law, no right to terminate a contract with the debtor simply because insolvency proceedings are opened over the debtor’s assets. In insolvency proceedings, the insolvency administrator has the right to terminate any commercial contract not yet completed in full at the time the insolvency proceedings are opened. If the contract is terminated, the counterparty may claim damages in the insolvency proceedings as an ordinary unsecured creditor. However, the insolvency administrator, on behalf of the debtor, may elect to adopt the contract, in which case the contract remains in force and the contractual obligations of both parties remain intact and have to be fulfilled in full. The court may set a deadline for the insolvency administrator to declare whether he or she wishes to adopt the contract. Such deadline must not be set earlier than 93 days after the opening of insolvency proceedings. If the debtor is defaulting on a non-monetary obligation, the period for the insolvency administrator to declare his or her position is not more than five working days after the application for declaration by the insolvency administrator by a creditor. Data processing activities during insolvency proceedings are governed by the General Data Protection Regulation (Regulation (EU) 2016/679 of the European parliament and of the Council of 27 April 2016; GDPR) and the Austrian Data Protection Act 2018 (DSG 2018). The DSG 2018 complements the GDPR’s framework using various opening clauses. Under the GDPR, the debtor’s obligation to disclose any necessary information to the insolvency administrator must not infringe the data subject’s right to protection of personal data. Further, the insolvency administrator is required to safeguard the interests of the relevant data subjects (eg, the debtor’s employees and customers). As long as the debtor has lawfully processed the data to be disclosed, the disclosure of non-sensitive data can be justified based on the legitimate interests pursued by the controller or by a third party, except where overriding interests of the data subject exist. Additionally, the GDPR permits the disclosure (and subsequent processing) as long as legitimate interests of the controller or any third party are not overridden by the interests of the data subject. In general, the disclosure of sensitive data (eg, data relating to a natural person’s race, political opinion, trade union membership, religion, health or sexuality) can only be justified by the data subject’s explicit consent. Transfer of personal data to a purchaser is also subject to the provisions set out in the GDPR. If the purchase of a debtor’s personal data is conducted via an asset deal (ie, a third party acquires some or all of the operating entity’s assets containing personal data), the transfer of such data can only be justified as set out above, (ie, the transfer of non-sensitive data may be justified, except where overriding interests of the data subject exist). Additionally, commencing on 25 May 2018, new and extensive information requirements exist according to which the debtor must inform the respective data subjects about the data transfer. For transferring sensitive data, the affected data subjects’ individual explicit consent has to be obtained prior to such transfer. If personal data collected by the debtor is purchased via a share deal (ie, the purchaser acquires the shares of the (insolvent) operating entity from the entity’s shareholders) the GDPR does not restrict the transfer of sensitive or non-sensitive data to the purchaser. Generally, arbitration procedures are rarely used in insolvency proceedings. In insolvency proceedings, the insolvency administrator is generally not bound by any arbitration agreements entered into by the debtor, except for the circumstances described in the following paragraphs. The insolvency court has sole and exclusive jurisdiction to hear the subject matter of the insolvency case. Any prior arbitration agreement between the debtor and its creditors with respect to the conduct and subject matter of insolvency proceedings would be void. As a consequence, an arbitration proceeding would only take place in cases where the administrator agrees to a (renewed) arbitration agreement after the initiation of the insolvency proceedings. Based on the voidance rules set out in the Insolvency Code, if insolvency proceedings are opened, the insolvency administrator has the right to challenge the validity of certain business transactions concluded by the debtor prior to the opening of insolvency proceedings. The debtor cannot validly enter into an arbitration agreement with respect to such proceedings prior to the opening of insolvency proceedings. Additionally, the insolvency administrator would not be bound by such an agreement because the voidance claims arise only after the opening of insolvency proceedings and for the benefit of the insolvent’s estate. The debtor cannot legally dispose of such claims. However, the insolvency administrator may enter into arbitration proceedings on its own account with respect to voidance claims, but this possibility is very rarely used. Where the insolvency administrator has adopted a contract (see questions 20 and 22), he or she is bound by the contractual provisions and any arbitration agreement contained therein. Apart from contractual proceedings, an insolvency administrator is typically engaged in court proceedings with respect to some of the creditors’ own property that was commingled with the insolvent’s estate, or with respect to the realisation of security relating to some creditors’ secured claims. Legal scholars hold the view that, in these cases, the insolvency court has no exclusive jurisdiction to hear such proceedings. Consequently, the insolvency administrator remains bound by any arbitration agreement concluded between the debtor and its creditors or third parties and the court will allow any pending arbitration proceedings to continue. Except for the aforementioned prohibitions, disputes can be arbitrated with the consent of the parties and the insolvency administrator after the insolvency case has been opened. Out-of-court enforcement over the debtor’s assets is possible if these assets have been provided to a creditor as security and out-of-court enforcement has been agreed in the agreement for the provision of such security. As long as no insolvency proceedings have been opened, unsecured creditors may enforce their claims (court judgments, enforceable notarial deeds, etc) according to the provisions of the Austrian Enforcement Code. In these proceedings, an unsecured creditor may, among others, apply for the compulsory creation of a mortgage over the debtor’s real property. Normally, however, enforcement would be directed against the property, receivables, rights and any other assets of the debtor. Procedures under the Enforcement Code are usually time-consuming, in particular if they involve the forced administration or forced sale of real property. The decision on the opening of insolvency proceedings, as well as other decisions issued by the court, must be published. All notices of decisions of the court are published on www.edikte.justiz.gv.at for a limited period. the reporting hearing at which the insolvency administrator submits a report on the status of the proceedings. Other meetings can be held at the court’s discretion or if requested by the insolvency administrator, the creditors’ committee or at least two creditors representing claims of at least one-quarter of the total claims (secured and unsecured) against the debtor. All meetings are called by the court and published on the internet. In the reporting hearing, the insolvency administrator reports on the prerequisites for the closing of the business or parts of the business or the continuation thereof, as well as on any reorganisation plan and its viability. The insolvency administrator has to give a statement of accounts at the end of the insolvency proceedings and whenever the court issues instructions to do so. Each member of the creditors’ committee may file an application with the court to have the insolvency administrator removed from office. Additionally, the court may at any time remove the insolvency administrator on its own initiative. Upon final confirmation of the reorganisation plan, the debtor is released from its liabilities in accordance with the reorganisation plan. However, a reorganisation plan may not provide for the release of liabilities owed by third parties. Therefore, while the debtor may also be released from its liabilities towards jointly liable parties (eg, guarantors), all such jointly liable parties will remain liable to the debtor’s creditors. If the debtor is in default of its payment obligations under the reorganisation plan, the original liabilities may be reinstated, provided that the creditor has given due and timely notice of the default. In principle, the liabilities are reinstated proportionally (ie, if 75 per cent of the insolvency quota has already been paid, 25 per cent of the original liability will be reinstated). Thus, provided that the quota pertaining to a certain liability has been paid in its entirety according to the reorganisation plan, such original liability will not be reinstated. In general, the reorganisation plan may not deviate from this provision to the detriment of the debtors. If the whole reorganisation plan is annulled, different rules will apply. The creditors’ committee, consisting of three to seven members, is appointed by the court on its own initiative or upon application by the creditors, if the particular features of the case indicate that a creditors’ committee is necessary. In practice, a creditors’ committee is established in all large-scale insolvency cases. The appointment has to be based on proposals by the creditors, representatives of the debtor’s employees and other special interest groups. The creditors’ committee has to supervise and support the appointed insolvency administrator and approve the sale or the lease of the debtor’s business and all of the debtor’s movable or immovable assets. Furthermore, the creditors’ committee has to audit the cash administered by the insolvency administrator. Members of the creditors’ committee may not claim any remuneration beyond the compensation of their expenses, such as travelling expenses and necessary costs of experts. Generally, if the insolvency court determines that the available assets are insufficient even to cover the costs of instituting insolvency proceedings, it will dismiss the application for the opening of insolvency proceedings for lack of funds. If a claim is available to the estate and the court determines that this claim is worth pursuing, but the estate lacks adequate funds to do so, it may oblige the creditor that filed the application for the opening of insolvency proceedings to advance funds to enable the insolvency administrator to pursue the claim. Managing directors of legal entities and shareholders holding more than 50 per cent of such legal entity’s shares can be held liable to pay a proportion of the anticipated costs to cover the insolvency proceedings. Where insolvency proceedings are not initiated because of a lack of funds, neither the debtor nor the creditors would benefit from the effects of insolvency proceedings. During insolvency proceedings, no creditor may initiate proceedings on behalf of the debtor to pursue remedies (such as voidance proceedings) against third parties. Only the insolvency administrator is entitled to do so. After the opening of insolvency proceedings, creditors have to submit a notification of their claims to the court. The deadline for filing creditors’ claims is established by the court in its order to open insolvency proceedings. Claims may also be filed after the deadline, but such claims will not disturb preceding distributions to the creditors. Creditors who file late do not have the right to appeal other claims that have been filed in time. The insolvency administrator accepts or rejects the notified claim at the examination hearing and any creditor may dispute the validity or priority of the claim. Confirmation of a claim by the insolvency administrator has a binding effect with respect to its amount, but not as to whether such claim is a preferential claim or an unsecured claim. Creditors whose claims are rejected by the insolvency administrator or denied by the other creditors (ie, those with contested claims) may bring an application for the court’s confirmation that their claims are valid. Contingent claims may be notified to the court with their complete (maximum) amounts. In the event of suspensive conditions (ie, where the claim arises only after the condition has been met), the quota relating to such contingent claim will be secured by the court and paid to the creditor only after the relevant condition has in fact been met. In the event of resolutive conditions (ie, where an existing claim is extinguished when the condition has been met), the quota relating to such claim may either be secured by the court or ordinarily paid to the creditor, provided that in exchange the creditor provides security to the court in the event that the resolutive condition is met and the claim is extinguished thereafter and the creditor has to pay back the quota. Unliquidated claims may also be notified to the court. The notification has to provide an estimate by the creditor of the claim’s value as at the opening of the insolvency proceedings. The estimate may be challenged by the administrator and, as a result, the court decides upon the value of the claim by appointing expert witnesses. Claims acquired at a discount can still be enforced for their full face value. However, a party is not entitled to set off an obligation it has regarding the insolvency estate with a claim it has acquired after the initiation of insolvency proceedings (and under certain circumstances when the third party knew or ought to have known of the insolvency of the common debtor, even before the initiation of insolvency proceedings). Interest accruing from the date of the opening of insolvency proceedings cannot be claimed as an insolvency claim during the proceedings. However, the opening of reorganisation proceedings does not stop interest from accruing, unless the parties agree on a discharge of residual debt during the course of such proceedings. Generally, creditors are entitled to exercise their rights of set-off and netting in pending insolvency proceedings, provided that the claims to be compensated were mutual at the time of the opening of insolvency proceedings. A creditor may not, however, set-off a claim that arose before the formal opening of insolvency proceedings if the creditor knew, or should have known, of the debtor’s illiquidity. Importantly, as opposed to the general rules of civil law, claims that have not become due at the time of the opening of insolvency proceedings, as well as claims that are subject to a condition, may be set off in the insolvency. Special netting rules apply under the Financial Collateral Act. In reorganisation proceedings under the Business Reorganisation Law, the situation of the creditors is not affected. Therefore, no special rules on set-off apply. In general, Austrian insolvency law is based on the principle that in insolvency proceedings all creditors rank equally. However, secured creditors enjoy priority to the extent of their security rights. Preferential creditors also enjoy priority (see question 33). Claims of creditors whose claims arose after the opening of insolvency proceedings rank above other claims. Only if the insolvency administrator challenges the claim of a particular creditor may the court decide that the creditor’s claim is, in fact, different in nature from that alleged by the creditor. The administrator may then assign it to a different class, thereby also changing its priority. However, this happens infrequently and the question in most cases is whether the security of a secured creditor is valid. the remuneration of certain creditors’ associations that participate in the proceedings. Claims accrued prior to the opening of the proceedings (including taxes, social security contributions, wages and salaries) are not privileged. Secured creditors’ claims are not affected by the insolvency. However, if the enforcement of such rights threatens the continuation of the insolvent’s business, satisfaction of such claims may be postponed for a period of six months after the beginning of the insolvency proceedings. Post-opening claims are not satisfied from valid security rights of a creditor (with the exception of costs having arisen specifically with respect to the disposal of the security). The employee’s ordinary wages accrued prior to the opening of insolvency proceedings are deemed to be insolvency claims. Ordinary wages accrued after the opening of insolvency proceedings are privileged and will be satisfied prior to the insolvency claims of unsecured creditors. the reporting hearing, provided that the court has decided to continue the business. Employees can terminate their employment by early termination for cause, subject to the same periods of time as set out in the previous sentence, whereas the opening of insolvency proceedings shall be deemed to be an important cause. When the termination of an employee’s contract is based on the administrator’s privileged right, the termination compensation of the employee, according to Austrian employment law (eg, holiday compensation, severance compensation and other damages), is deemed to be an unsecured claim. If the termination of an employee’s contract does not fulfil the preconditions of the aforementioned right of the administrator, the termination compensation will be satisfied prior to the insolvency claims of unsecured creditors. in businesses with normally more than 600 employees - at least 30 employees. Failure to notify the AMS results in the respective terminations being void. A violation of the information obligations towards the works council can be punished with an administrative penalty of up to €2,180 (section 160, ArbVG). If an employee is entitled to receive a pension payment directly from his or her employer (direct pension promise) and the insolvency proceedings are opened during an employee’s pay-out phase (ie, following the employee’s retirement), the retired employee is entitled to a maximum of six monthly pension payments prior to the effective date (ie, the opening of insolvency proceedings); for outstanding pension payments after the effective date, benefits securing entitlements and pension, severance and settlement amounts are capped at a maximum of 24 months, or up to 12 months if the pension promise is not subject to the Austrian Company Pensions Act. Such claims will be covered by a fund established solely for the benefit of employees in the event of the employer’s insolvency under Austrian law (Insolvency Compensation Funds; IEF). Deficiencies accrued prior to the opening of insolvency proceedings are deemed to be unsecured claims, whereas deficiencies accrued after the opening of insolvency proceedings are privileged. The latter will be satisfied prior to the insolvency claims of unsecured creditors. If an employee is entitled to a direct pension promise and the insolvency proceedings are opened before an employee’s pay-out phase and the employment relationship is terminated as a result of the insolvency, the employee is entitled to vested benefits and rights. The vesting amount is covered by the IEF up to pension, severance or settlement amounts of 24 months. If an employee is entitled to receive pension payments from a third-party pension fund, such claims of both an active or a retired employee against third-party pension funds are not affected by the employer’s insolvency. Unpaid employer contributions (for active employees) are deemed to be current wages, so for the period prior to the opening of insolvency proceedings they are insolvency claims, and for the period thereafter, they constitute privileged claims that will be satisfied prior to the insolvency claims of unsecured creditors. Until termination of employment, employer contributions are covered by the IEF. A retired employee’s claim for an additional payment into the occupational defined-benefit pension plan, if any, is qualified as an insolvency claim (as this claim arose before the insolvency proceedings were opened). After the initiation of insolvency proceedings, public regulations, including environmental regulations, continue to be relevant for the affected parties. The debtor’s obligation to take all necessary measures regarding environmental requirements persists. Because the insolvency administrator takes over all duties related to the insolvency estate, the administrator also represents the debtor in dealing with the authorities, including with respect to environmental matters. Where the relevant requirements are not met, the public authority may initiate substitute performance. Costs arising as a result thereof after the initiation of insolvency proceedings are preferential costs and are therefore incurred to the detriment of the general insolvency creditors. If insolvency proceedings are terminated, the creditors would again have the right to pursue all their claims against the debtor without limitation. This holds true for any type of liability. Any funds received by them during the insolvency proceedings would be taken into account. However, if the debtor is a commercial entity and the insolvency proceedings lead to a liquidation of the debtor, the debtor would be deleted from the commercial register and cease to exist after the termination of the insolvency proceedings (unless assets of the debtor emerge, in which case the debtor would be deemed to continue in existence). Distributions may only be made after the general examination hearing has been held. The final distribution may only take place after all assets have been sold, all decisions have been issued by the courts on contested creditors’ claims, the insolvency administrator’s fees have been determined and the final accounts of the insolvency administrator have been approved by the court. This can only be done on the basis of a draft distribution document and a distribution hearing. In reorganisation proceedings, payments must be made in accordance with the approved reorganisation plan. The two principal types of security available for immovable property are mortgages and the transfer of title in property. In a mortgage, the debtor remains the owner. In a transfer of title in property, the transferee is registered as the owner but merely holds the property as a trustee for the transferor. Both types of security are valid only when registered with the Land Registry. The priority of one of several mortgages on the same piece of immovable property usually depends on the chronological order of the entry into the Land Registry. The principal types of security available for movable property are pledges and transfers of title for the purpose of taking security. The most common is the assignment of receivables as a security device. However, for such assignments and pledges to be effective as regards third parties, strict publicity requirements must be complied with. For example, for receivables, by notification of the assignment to the third-party debtor or alternatively, by appropriate notes in the assignor’s accounts from which it is readily ascertainable when and in whose favour the assignment was made. The priority of a pledge or assignment depends on the time the publicity requirement was met. Only the insolvency administrator is entitled to challenge transactions undertaken by the debtor prior to the opening of insolvency proceedings (covering liquidations as well as reorganisations) during the respective ‘suspect period’. In this respect, the Insolvency Code provides for various cases of voidance on a number of grounds and with different suspect periods. The decision lies within the insolvency court. For example, transactions in which the debtor intentionally put certain creditors at a disadvantage relative to one or several other creditors who knew of such an intention result in a suspect period starting 10 years before the opening of insolvency proceedings. In other cases, suspect periods range between six months and two years. Such cases include: the transfer of assets without due consideration (two years); provision of security or settlement of an obligation not due at such time (one year); and business transactions with the insolvent debtor when the counterparty knew or should have known of the insolvency (six months). The provisions, and relevant settled case law, are complicated and sometimes make it difficult to predict whether a particular transaction may become subject to voidance in a future insolvency. If the voidance motion is successful, the transaction will be declared as being without any effect as regards the other creditors. In this respect, annulment of transactions as described in question 46 should be taken into consideration, as any provision of security or settlement of an obligation towards the parent or affiliated company not due at such time (60 days before the opening of the insolvency proceedings) could be challenged by the insolvency administrator and payments made to these ‘insiders’ clawed back. Under the Austrian law on equitable substitution, loans from shareholders to companies suffering a ‘crisis’ (when applying for insolvency proceedings or ‘reorganisations’ under the Business Reorganisation Law) are classified as substitutions of equity and are therefore treated differently. According to the Insolvency Code, shareholders’ claims in this respect are subordinated and can only be satisfied after satisfaction of all unsecured and preferential claims and only if the insolvency court agrees to accept these claims in the course of the insolvency proceedings. Shareholder loans granted outside of a ‘crisis’ rank pari passu with other senior claims. infringement of a legal nature: if the shareholder abuses the legal structure of the subsidiary or affiliate in order to minimise liabilities. Moreover, Austrian capital maintenance rules may also give rise to claims of subsidiaries or affiliates against their parents or affiliated corporations if they breach the foregoing rules. Austrian corporate law prohibits the return of equity from a company to its shareholder. A company may not make any payments to shareholders other than the distribution of profit or during the course of a formal reduction of statutory capital. Provisions on the repayment of capital also cover benefits granted by the company to its shareholders where no ‘adequate consideration’ is received in return. Such consideration must, as a minimum standard, be no lower than a comparable consideration that the company would have received from an unrelated third party. Any agreement between a company and its shareholder or any third party granting an advantage to the shareholder that would not, or not in the same way, have been granted for the benefit of an unrelated third party is void and any profit received has to be returned. In insolvency proceedings, the insolvency administrator can enforce this claim against the parent or affiliated corporation. In the case of an Austrian stock corporation, claims can be enforced directly by the creditors of the subsidiary or affiliate. Austrian case law has clearly stated that with respect to group companies considered one economic entity, the principle of legal separation must be respected regardless of economic considerations. This applies not only for the purpose of general corporate law, but also specifically with respect to insolvency law. Moreover, it was reiterated that in insolvency proceedings there can be only one debtor - the individual company whose assets must be considered individually. 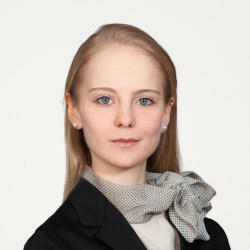 Thus, the transfer of assets between several insolvent debtors is prohibited and a court cannot order the distribution of company assets among these, even if they are companies within the same group. Under Austrian insolvency law, insolvency proceedings against a parent and its subsidiary may only be combined for procedural purposes and must be heard by the same judge. The proceedings themselves remain independent of one another and the assets and liabilities are not combined into one pool for distribution purposes. According to article 49 of the EU Council Regulation (EU) 848/2015 on Insolvency Proceedings, any assets remaining in Austria shall be transferred to an administrator outside of Austria only if it is possible to meet all claims in Austria by the liquidation of assets in Austrian secondary proceedings. If insolvency proceedings of members of a group of companies are opened, Austrian insolvency law provides for the application of the rules on cooperation and communication according to articles 56 to 60 and on coordination pursuant to articles 61 to 77 EU Council Regulation (EU) 848/2015. The Insolvency Code includes rules on cross-border insolvency proceedings. These provisions apply insofar as no international treaty or the EU Council Regulation (EU) 848/2015 on Insolvency Proceedings is applicable. Most importantly, assets located outside Austria may become the subject of insolvency proceedings in Austria. Further, Austrian courts will recognise and enforce foreign insolvency proceedings insofar as the standards of the foreign insolvency proceeding are comparable to Austrian insolvency proceedings and provided that the debtor’s centre of main interests is located in the foreign jurisdiction. Generally, according to Austrian conflict-of-laws provisions, the laws of the place where the insolvency proceeding is initiated govern the entire proceedings. Special conflict-of-laws provisions apply in certain situations or matters (eg, real property). These principles also apply to reorganisation proceedings. Directives 2001/17/EC on the reorganisation and winding-up of insurance undertakings (replaced by Directive 2009/138/EC) and 2001/24/EC on the reorganisation and winding up of credit institutions were implemented in Austria. Austria is also subject to the EU Regulation on Insolvency Proceedings replacing existing bilateral insolvency treaties. The UNCITRAL Model Law on Cross-Border Insolvency is under consideration in Austria. There are ongoing working sessions of the ‘special task force for insolvency law’ of the Ministry of Justice. Generally, foreign creditors are treated on an equal footing with Austrian creditors during insolvency proceedings taking place in Austria, and are free to file the same applications and notifications of claims as Austrian creditors. However, they must appoint a person residing in Austria who is empowered to accept service on behalf of the foreign debtor. 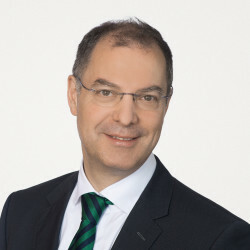 According to article 49 of EU Council Regulation (EU) 848/2015 on Insolvency Proceedings, any assets remaining in Austria shall be transferred to an administrator outside of Austria only if it is possible to meet all claims in Austria by the liquidation of assets in Austrian secondary proceedings. Other than such transfer of surplus assets, Austrian law does not provide a mechanism to transfer assets subject to insolvency proceedings in Austria to an administration in another country. The definition of COMI emerges from European Union Law. There is a general presumption that the COMI of a corporate debtor is at its registered office. See further in the chapter on the European Union. Austrian courts focus on objective criteria and therefore the COMI should be ascertainable by third parties. This presumption can be rebutted whenever there are signs indicating that the main administration is in another country. In the case of a group insolvency, the COMI of each subsidiary has to be determined individually. The Insolvency Code allows for cross-border cooperation in several ways. The Austrian insolvency court and the Austrian administrator have to provide to the foreign administrator any information deemed to be of importance for conducting the foreign insolvency proceedings without undue delay. Furthermore, the foreign administrator shall be granted an opportunity to submit its own proposals relating to the liquidation or the utilisation of assets located in Austria or to submit statements in relation to reorganisation plans. In addition, in the case of recognition of foreign insolvency proceedings, the foreign administrator may also exercise the powers granted to it by local laws in Austria except with regard to coercive actions and decisions over legal or other disputes. The Austrian Supreme Court has not yet dealt with a case where a lower court has refused to recognise foreign proceedings or to cooperate with foreign courts. According to the Insolvency Code, the effects of foreign insolvency proceedings are recognised if the debtor’s centre of main interests lies within a foreign country and the basic principles of these proceedings are similar to those in Austria, in particular the treatment of Austrian and foreign debtors (see question 50). Within the European Union, any insolvency proceedings are recognised in other member states as soon as the opening of the proceedings are in effect (see the chapter on the European Union). We are not aware of a case where recognition has been refused. We are not aware of any such protocols or hearings. There is no basis for these in Austrian law as currently in force.